The essay competition is open to all graduate students currently registered for an MA or PhD in Victorian Studies. Entries must offer an original contribution to the field of Gaskell studies, whether by reading her works in relation to Victorian cultural, religious, aesthetic and scientific contexts, through innovative close readings enlightened by critical theory, or a comparative study connecting Gaskell’s with another author’s work. Essays will be shortlisted by the Gaskell Journal Editorial Board, with the final judgment being made by a leading scholar in Gaskell studies. Essays should be 6000-7000 words, and not under consideration for publication elsewhere. 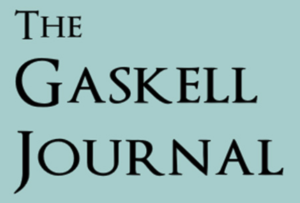 Please see the Gaskell Journal website for submission details: www.gaskelljournal.co.uk. Please direct any queries to Editor Dr Rebecca Styler rstyler@lincoln.ac.uk.